DC Comics and Warner Bros. Interactive recently announced their brand new free-to-play PC MOBA Infinite Crisis, which is being developed by Turbine. Taking inspiration from the DC Comic arc of the same name is sure to prove as an interesting basis for the next gen MOBA experience. Infinite Crisis is looking to deliver a non-stop competitive player vs. player battle experience by utilizing the DC Comics universe. In order to provide fans with a more diverse cast of characters Turbine decided to set the game within the expansive DC Multiverse. The heroes and villains you love have been completely reimagined. Players can expect to play as Nightmare Batman, Gaslight Catwoman, Gaslight Joker and more. The early footage of the game is appears to be a rough build of what Turbine is hoping to achieve with the final product. If you want to help mold Infinite Crisis into the game that it deserves to be then be sure to sign up for beta now. Turbine is hoping to bring players into the beta through different waves, so if you aren’t one of the lucky few that makes it in right away there will be other opportunities. 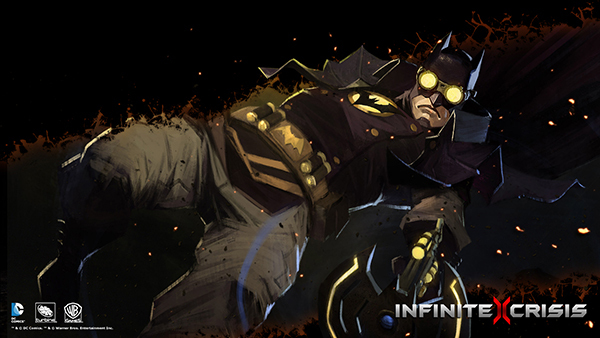 Infinite Crisis is set for a Fall 2013 release date on PC’s everywhere. Be sure to let us know what you think about the first ever DC inspired MOBA in the comments below!